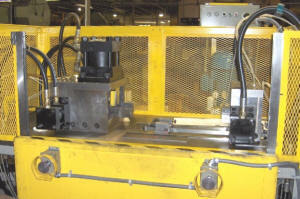 ﻿ Designers and Builders of Roll Forming Machines and Tooling - Cardinal MFG - Roll forming machines. In this way, downtime is radically reduced. We build our roll forming machines to the tightest tolerances, in turn allowing us to hold tighter tolerances on the roll formed parts we produce. Cardinal is able to improve upon its designs and integrate new technology into our machines whenever it becomes available. 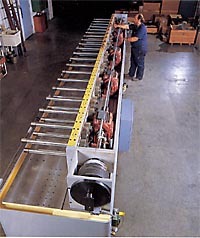 Roll forming machines are not the only machines Cardinal has the capacity to build. If a customer requires that additional operations beyond roll forming be performed, and standard equipment is insufficient, Cardinal can build custom machinery to meet the needs of our customers. Copyright © 2012 Cardinal Manufacturing Company, Inc. All rights reserved.